Sun., Aug. 13, 2017, 6:48 p.m.
MOSCOW, Idaho – Starting quarterback Matt Linehan, who missed practices last week with an undisclosed medical problem that sent him to the hospital, was in good form on Sunday in the team’s first scrimmage of fall camp. Linehan took a majority of the offensive snaps but sophomore Mason Petrino, who stepped in for Linehan with the No. 1 offense during the senior’s absence, still had a busy day. He lined up as a wideout with Linehan as the passer and also took snaps at quarterback. Aaron Duckworth and Isaiah Saunders shared an even number of carries at running back. Alfonso Onunwor and Jacob Sannon were two of the top targets downfield for the quarterbacks. The defensive line was quick off the ball and into the offensive backfield, forcing the quarterbacks to scramble out of the pocket on occasion. 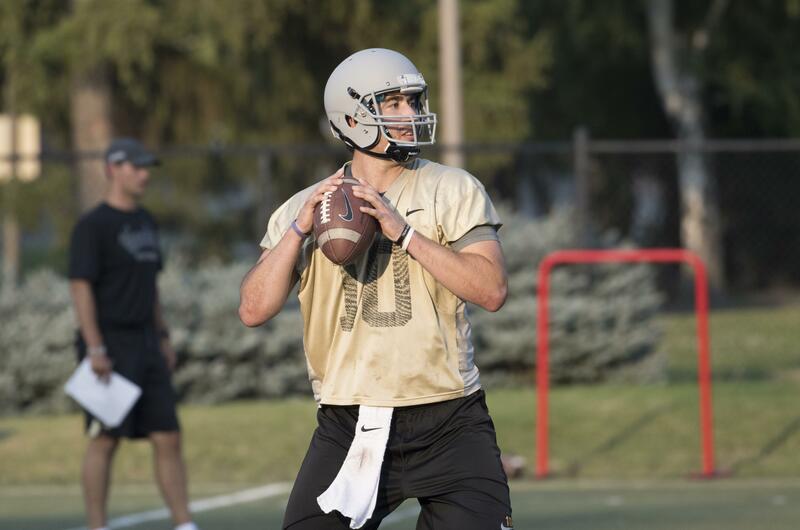 The Vandals have another scrimmage Saturday. The Vandals host Sacramento State on Aug. 31 to open the season. Published: Aug. 13, 2017, 6:48 p.m.